As the rapper 21 Savage remains in custody, a petition has been started by Black Lives Matter to free him and prevent him from being deported from the United States. The Grammy-nominated artist, whose given name is Sha Yaa Bin Abraham-Joseph, was detained by US Immigration and Customs Enforcement (ICE) on February 3. He is accused of being a British national who entered the US legally, but overstayed and violated the terms of a non-immigrant visa. Now, a petition to stop the rapper’s potential deportation has been shared by the co-founder of Black Lives Matter, Patrisse Khan-Cullors. The hundreds of ICE assaults and detention of Black immigrants is an endemic in the United States, and is too often carried out with the assistance of local law enforcement. On February 3rd in the early afternoon, organizers were alerted to the arrest and detention of rapper, father, community activist and friend She’yaa Bin Abraham-Joseph -21 Savage. The circumstances of Mr. Abraham-Joseph’s detention stand as a testament to the consistent and historically under-reported harassment and targeting of Black immigrants. The US’ violent history of criminalizing Blackness intersects with its deadly legacy of detaining and deporting Black and Brown immigrants. This needs to stop today! There are around 4.2 Million Black immigrants in the U.S. – 619,000 are undocumented. Mr. Abraham-Joseph has been in the United States since he was a young child. Atlanta is his home. He has no current or prior criminal convictions and he is beloved by his friends, fans and family. It is shameful that he and so many Black immigrants are separated from their families on a daily basis as part of the US’s heartless and racist immigration policies. Demand that the Immigration and Customs Enforcement (ICE) stop the deportation of She’yaa Bin Abraham-Joseph – 21 Savage NOW! We are working diligently to get Mr Abraham-Joseph out of detention while we work with authorities to clear up any misunderstanding. 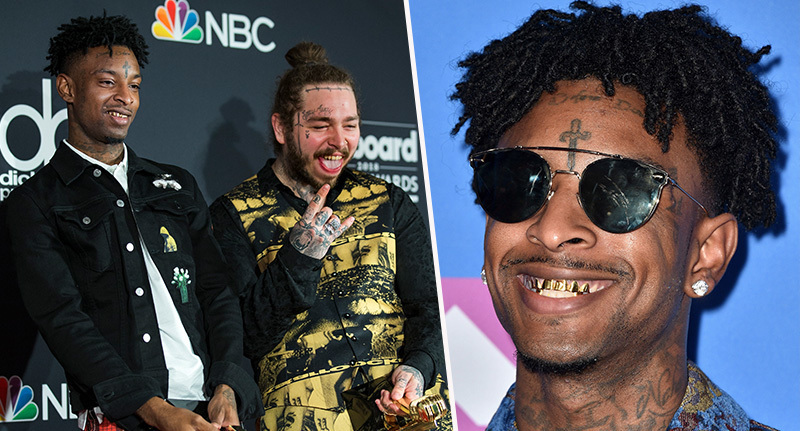 Savage’s legal team are currently working to get the rapper released from custody, and are hopeful that his fame and status as a ‘role model’ – due his work on financial literacy programs with underprivileged youth – will help him get a green card or another type of visa.